If you have lost one or several of your natural teeth, you’ll be glad to know that this doesn’t mean you have to stop enjoying life. With dental implants, we can restore your smile, both in terms of how it looks and how it functions. Dental implants provide the best tooth replacement option because they look and feel most like your natural teeth. Dental implants mean you can regain the ability to eat the foods you love — and you can smile with confidence once again. Stillwater, MN dentist Dr. Katie Daniels can restore your youthful smile with dental implants — whether you are missing one tooth, several teeth, or all of your teeth. Gone are the days of needing to alter healthy tooth structure to replace missing teeth. In the past, missing teeth were replaced with either fixed bridges, which required preparing adjacent teeth to anchor the restoration, or a removable prosthesis, which can have a tendency to slip or move. Dental implants can be used to replace anywhere from one to all of your missing teeth. 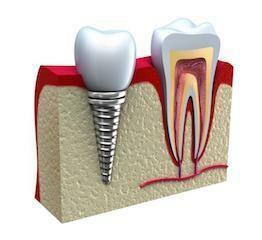 Implants are titanium screws that integrate with your jaw bone, allowing us to replace the root of a missing tooth. Depending on the restorative needs of the individual patient, a crown, bridge, or denture can then be attached to the implants. Initially, Dr. Daniels will refer you to the specialist she feels best fits your personality and needs. They will remove the tooth and typically place a bone graft material to provide the best foundation for your implant. If you are concerned about aesthetics, a temporary restoration can be created to give you the appearance of having a tooth. Approximately four months later, the specialist will place the implant. Once it is integrated with the bone — a process that takes your body about three months — the specialist will see you back for a final check to verify that everything looks ideal and then place a healing abutment so the gum tissue starts to take the appearance we desire. The specialist will then send us notification that we can restore the implant. At this point, we will schedule you for an impression to begin fabricating the final restoration that will attach to the implant. In two to three weeks, the restoration will be placed, and you can begin using your new tooth or teeth. When you lose a tooth, there is no longer a tooth root present to stimulate the jaw bone. This signals your body to resorb the jawbone in the area, making people look older because it gives their face a sunken-in look. Dental implants continue to stimulate the jaw bone, just as if there is a tooth root present, so the bone remains strong and healthy. Other benefits of dental implants include easy care — just brush and floss as you would your natural teeth — and minimal eating restrictions. You can eat all of your favorite foods, from juicy steaks to crunchy vegetables. Dental implants are fixed so there is no worry about moving or shifting and you can speak, laugh, and eat with confidence. 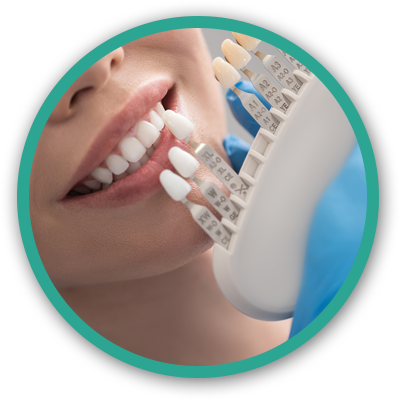 If you would like to learn more about implants, contact the dentists at Valley Ridge Dental today to schedule a consultation.